Our Holy Father, Pope Francis, has proclaimed the upcoming year to be an Extraordinary Jubilee of Mercy, which will be celebrated from Tuesday, December 8, 2015, through Sunday, November 20, 2016. The Holy Father’s intention in proclaiming this Jubilee is to offer the Church an opportunity to “gaze even more attentively on mercy, so that we may become a more effective sign of the Father’s action in our lives” (Misericordiae vultus 3). Our diocesan celebration of the Jubilee will begin with the opening of the Door of Mercy at the Cathedral at 3:00 PM on Sunday, December 13, 2015, which all are invited to attend. Saint Paul wrote, “All have sinned and fall short of the glory of God” (Rom 3:23). Although we have repeatedly turned away from God through sin, He has never turned away from us. Since the sin of Adam and Eve, God has been carrying out in our world His plan of salvation, which reached its culmination in Jesus Christ, our Lord and Savior. In Jesus Christ, God has identified Himself with us in our weakness and definitively revealed the depths of His mercy and love for us. The Lord reaches down to us in mercy, but so great is His mercy that He is not content to leave us as we are. In the Gospel according to Saint Mark, the very first words of Jesus are a call to conversion: “Repent and believe in the Gospel” (Mk 1:15). Jesus did not condemn the woman caught in adultery, but He did command her, “Go and sin no more” (Jn 8:11). God has come into our midst not to confirm us in our sins, but rather to lead us away from them. Pope Francis writes that this Jubilee of Mercy is “the opportune moment to change our lives!” (MV 19). Indeed, this Holy Year is an opportunity for us to undergo a more profound conversion of heart by availing ourselves of the mercy of God and offering that mercy to others. 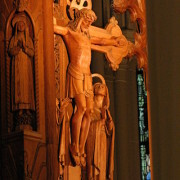 We experience the mercy of God principally in the sacrament of confession. 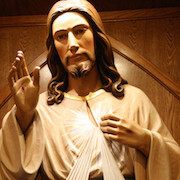 It is in this sacrament that our sins are forgiven and that, in the words of our Holy Father, people are enabled “to touch the grandeur of God’s mercy with their own hands” (MV 17). 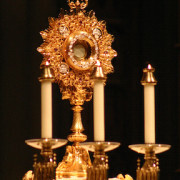 And, at the same time, it is in this sacrament that we receive from God the grace to change our lives and to become living witnesses to His mercy, above all by reaching out with compassion and love to the poor, the sick, and the suffering. Throughout the upcoming year, please follow the Messenger, our diocesan newspaper, for information about the events by which we will celebrate the Jubilee. By participating in this Jubilee of Mercy as fully as possible, I am confident that we ourselves will grow closer to God and offer to a world that desperately needs it a clear and convincing testament to the power of the mercy of God. In the Diocese of Covington, the Cathedral Basilica, Covington; Divine Mercy Parish, Bellevue; St. John Church, Carrollton; and St. Patrick Church, Maysville; have been established as stational churches in which a Door of Mercy will be opened. Bishop Foys will preside at Solemn Vespers for Divine Mercy Sunday at the Cathedral Basilica of the Assumption at 3 p.m. Confessions will be heard before the liturgy. 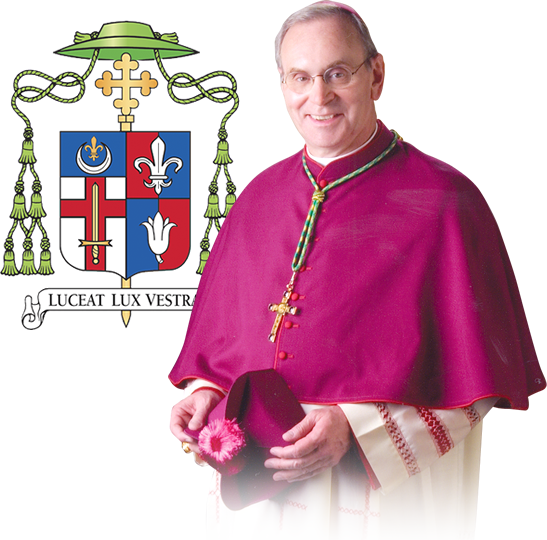 Bishop Foys will preside at Solemn Vespers and close the Door of Mercy at the Cathedral Basilica of the Assumption at 3 p.m.
During the Holy Year, pilgrims who pass through one of the designated Doors of Mercy at one of the station churches will be able to obtain a special Indulgence. Pray for Pope Francis and his intentions. 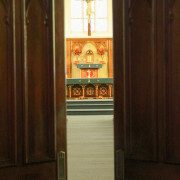 In addition to its regular confession schedule, each parish will also offer confessions from 6–8 p.m. on one evening every month throughout the Holy Year. The supreme way that we experience the mercy of God is the sacrament of confession. In order to make this sacrament available to all the faithful and as a sign of its centrality in the life of the Church, Pope Francis has called for the “24 Hours for the Lord” initiative to be implemented in every diocese of the world. Accordingly, every parish in the Diocese of Covington will offer confessions continuously for 24-hours, 12 p.m. on Friday through 12 p.m. on Saturday, on one of three Fridays in Lent.